Packages for DEB and RPM distributions are built for most of our software, here you find all the information you need to setup and install them. Engine for capturing, parsing and replaying DNS. DNS Statistics Collector (DSC) is a tool used for collecting and exploring statistics from busy DNS servers. DNS Statistics Presenter (DSP) can be used to display statistics collected by DSC. Tool for converting, exporting, merging and transforming DSC data. dnscap is a network capture utility designed specifically for DNS traffic. drool is a tool to replay DNS traffic. A tool that provides a basic SQL-frontend to PCAP-files. NOTE: some distribution versions may lack some software due to lack of support of various dependencies. Packages for Debian are available on pkg.dns-oarc.net and the following commands can be executed to setup the stable or pre-release APT repository and install software. Packages for Ubuntu are built on LaunchPad and can be easily installed using add-apt-repository and selecting the PPA you wish to install from. To see a list of available PPA's and packages go to “DNS-OARC” team on LaunchPad. 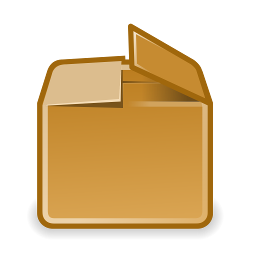 Packages are built using COPR and instructions on how to setup the repository can be found if you follow the link below for the package you want. To see a list of available projects and packages go to @dnsoarc Group on COPR. Packages are built using openSUSE Build Service and instructions on how to setup the repository can be found if you follow the link below for the package you want. To see a list of available packages go to network:dns-oarc project on openSUSE Build Service. To see a list of available pre-release packages go to network:dns-oarc:prereleases. Packages for Ports distributions are not maintained by DNS-OARC but we link to the distribution / source repository if they exists. Please contact us if you submitted any ports package to a distribution you wish to have linked here.